For some kids, a single bee sting, or one bite of a peanut-butter sandwich or crab cake can lead to a severe, life-threatening allergic reaction. Anaphylaxis can occur within minutes or seconds after exposure to an allergen and requires immediate treatment to save a child’s life. The good news is anaphylaxis is not common, but kids with certain allergies to nuts, shellfish, insect bites and some medications, among others, are at a greater risk. During an anaphylactic reaction, the immune system goes into overdrive to attack the “foreign substance” and floods the body with chemicals. This can cause a child’s blood pressure to suddenly drop and his airways to narrow, possibly blocking normal breathing. In most cases, critical signs of anaphylaxis can include significant hives, coughing, wheezing, tightness of the throat, difficulty swallowing, vomiting and diarrhea. With increased awareness, most parents understand the dangers of anaphylaxis and know to administer epinephrine for these severe symptoms to stop the reaction. 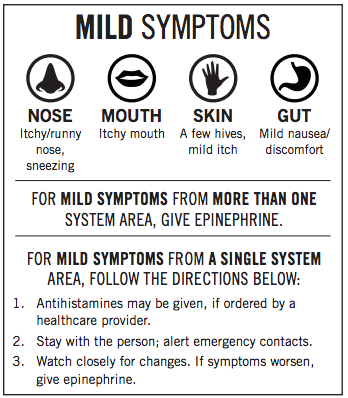 However, when mild symptoms occur, such as headache, itching or nasal congestion, there may be confusion as to whether the reaction requires epinephrine, especially if the child is playing and acting normally. It’s impossible to predict if and when a reaction will become life threatening. That’s why it’s critical to know how to identify a reaction and when to administer epinephrine. If there’s any doubt, Dr. White says it’s better to give epinephrine and take your child to the emergency room than wait to see what happens. 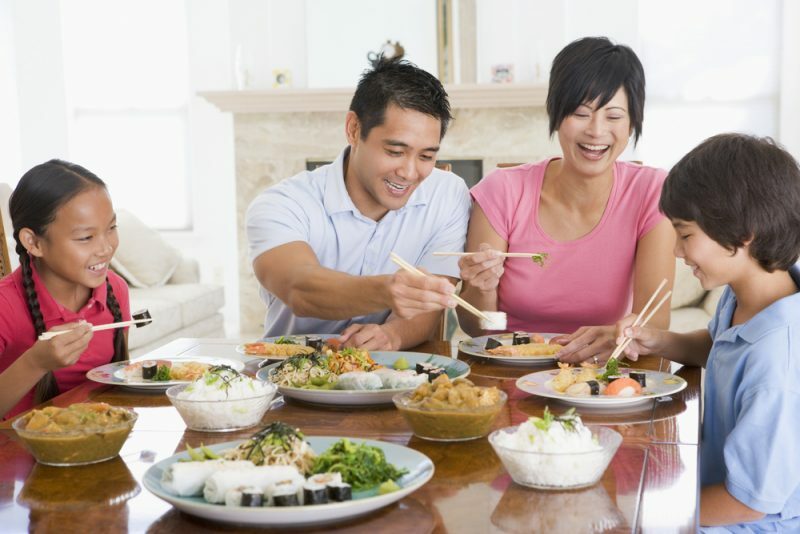 To help clear the air and save lives, the Food Allergy Research & Education organization created the Anaphylaxis Emergency Care Plan. 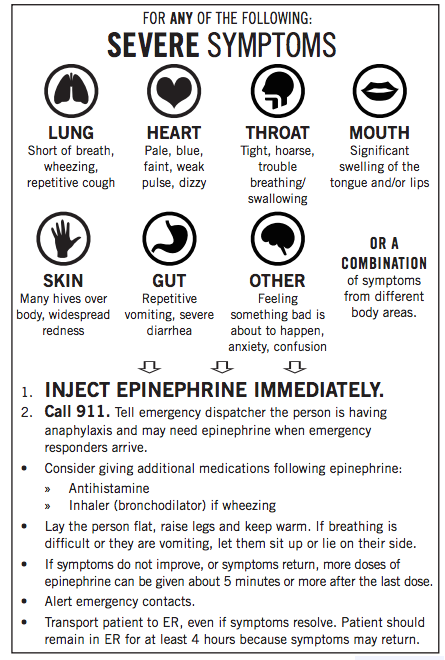 Dr. White and his team follow the below protocol in their practice and he recommends families do the same to determine if and when to administer epinephrine. Once a child receives epinephrine, it’s critical he is rushed to the emergency room for observation. Sport specialization debate: Are kids winning or losing by focusing on one sport year-round?